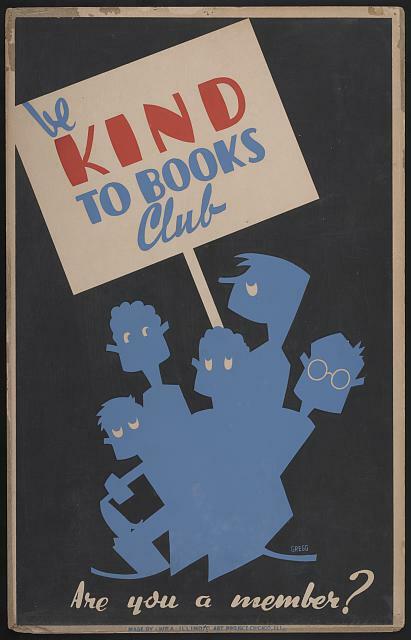 This great poster, done by artist Arlington Gregg, depicts a group of children holding a sign that says that they are members of the be kind to books club. The title is, as you might expect, Be Kind to Books Club Are You a Member? This piece of art was also done in Illinois for the WPA Art Project.